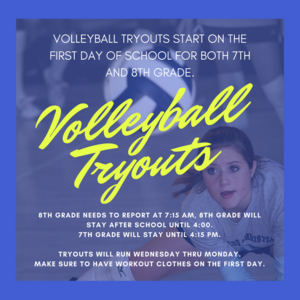 Volleyball Tryouts 7th & 8th graders! 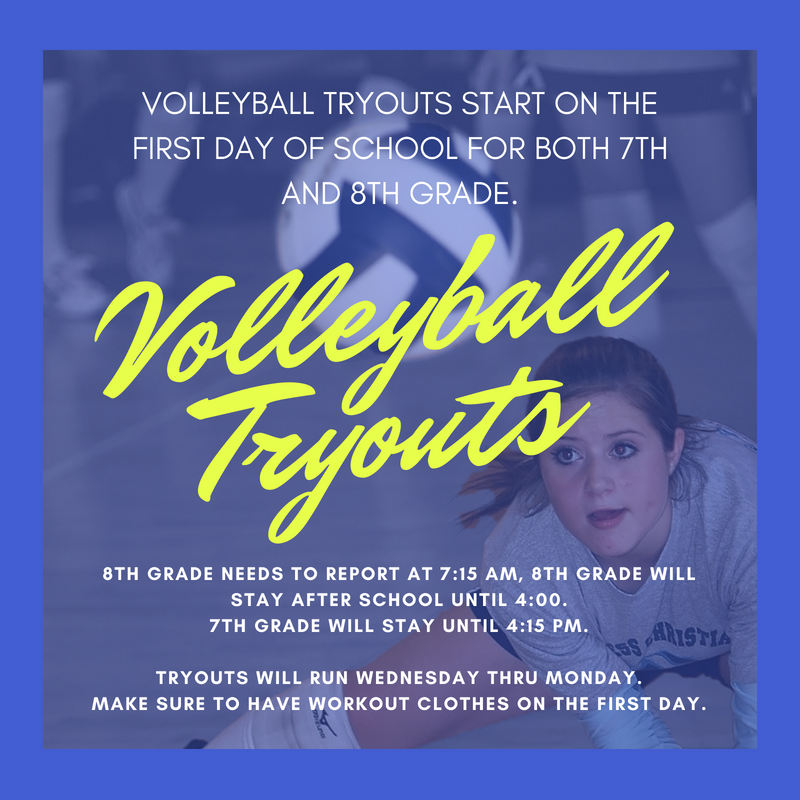 Volleyball Tryouts start on the first day of school for both 7th and 8th grade. 8th grade needs to report at 7:15 am, 8th grade will stay after school until 4:00. 7th grade will stay until 4:15 pm. Tryouts will run Wednesday thru Monday. Make sure to have workout clothes on the first day.